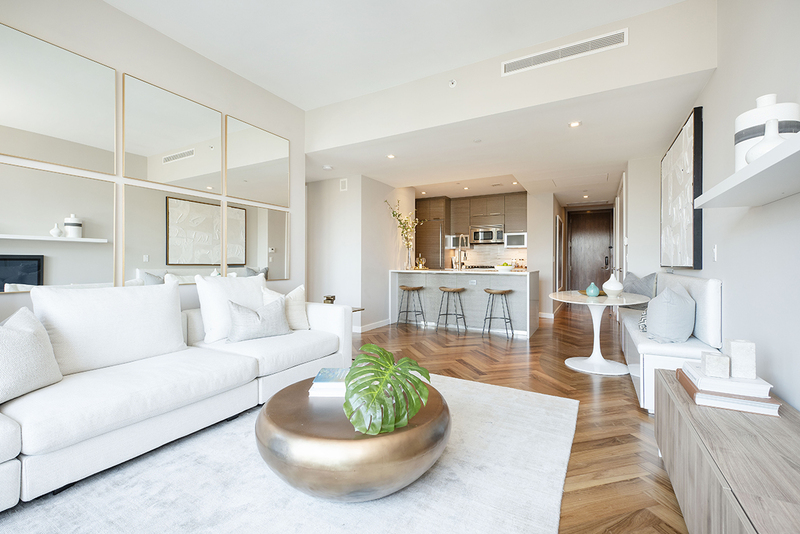 Welcome to your perfect dream 1 Bed / 1 Bath residence, located on the 10th floor in the ultra-luxury Superior Ink Condominium. 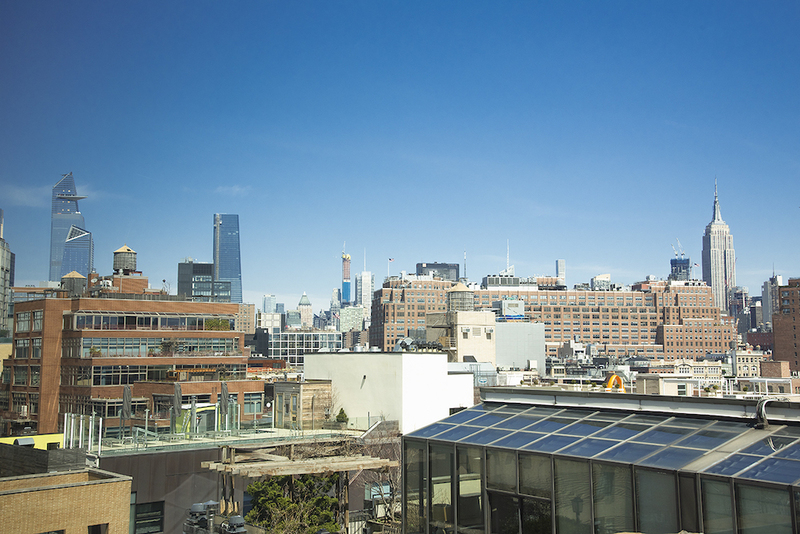 The building was designed by legendary Robert A. M. Stern Architects for The Related Companies and reflects the original look of the Superior Ink factory, with interiors by Yabu Pushelberg. 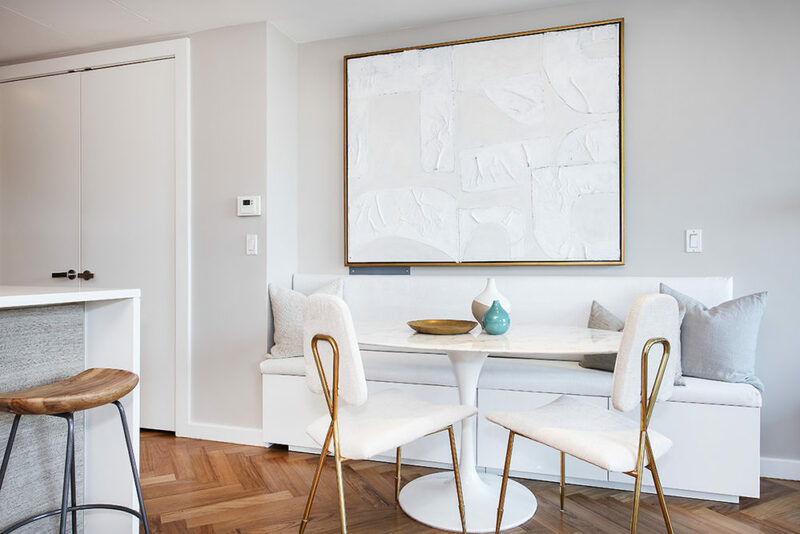 This spectacular approx. 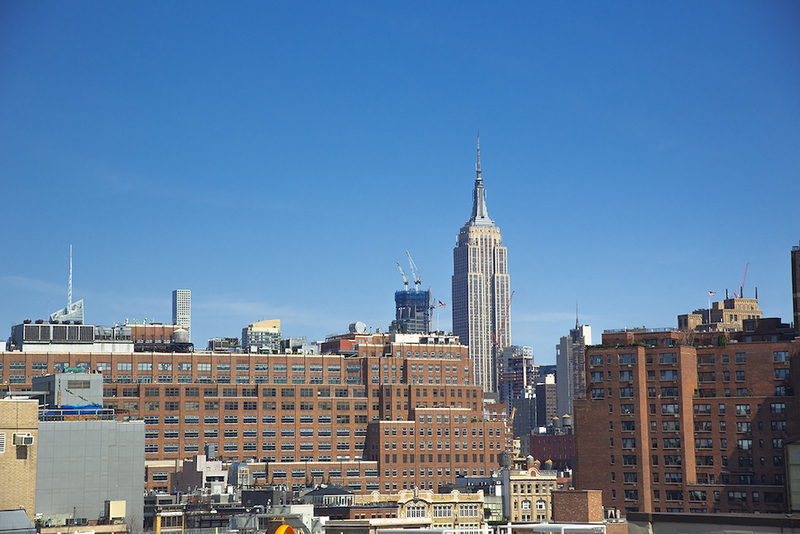 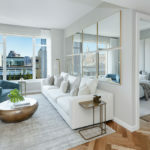 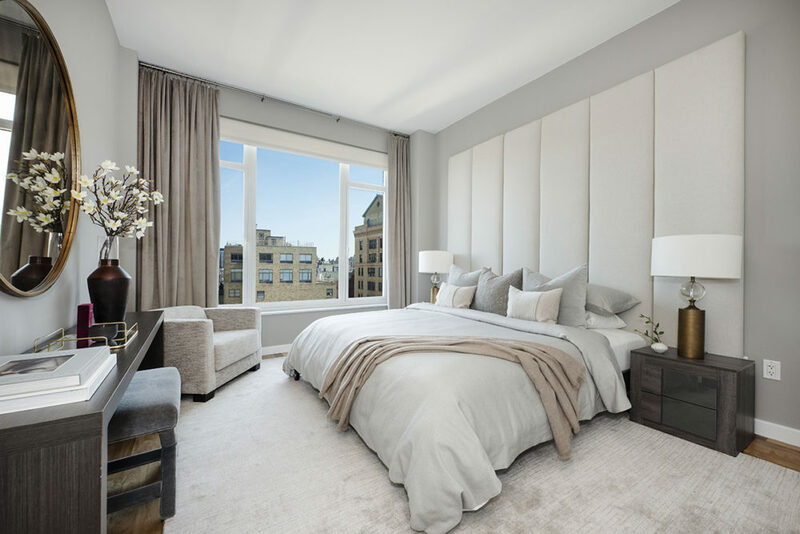 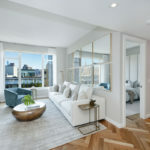 853 sq ft sun-flooded residence boasts panoramic open views of the Empire State Building, historic West Village streets, and iconic Downtown skyline. 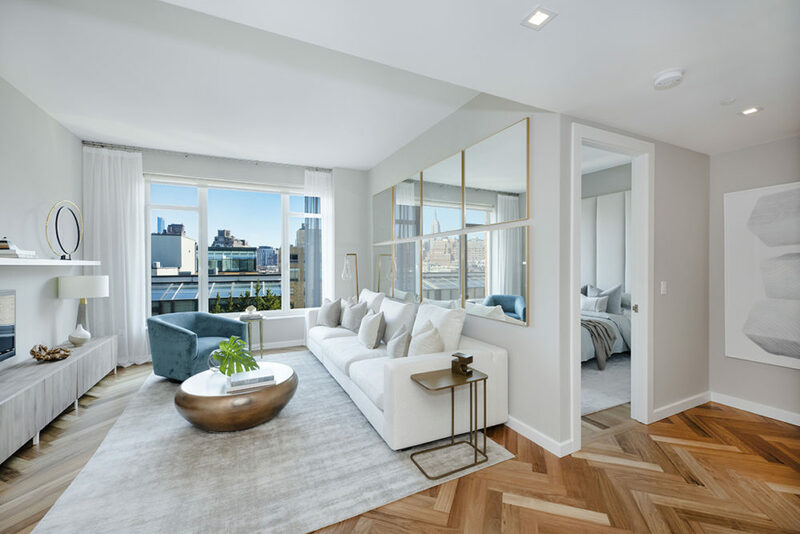 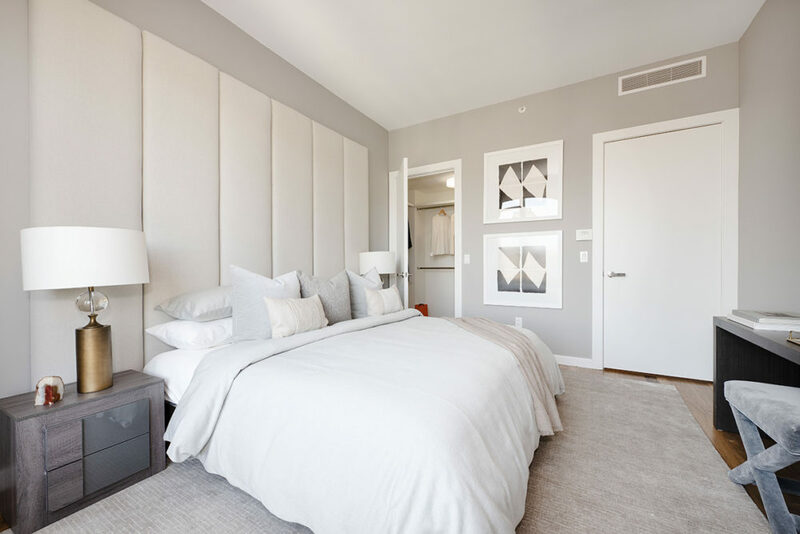 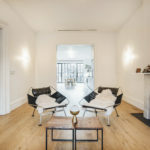 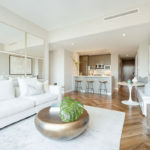 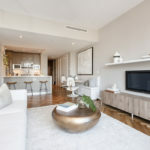 The apartment features 10 ft ceilings, over-sized noise proof windows with picturesque Eastern exposure, Morado wood 3 herringbone hardwood floors and recessed lighting throughout as well as multi-zone Central Air Conditioning/Heating. 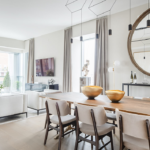 Upon entering the formal foyer, you are greeted with a bright open living and dining room, elegantly well-proportioned allowing for entertaining or intimate gatherings. 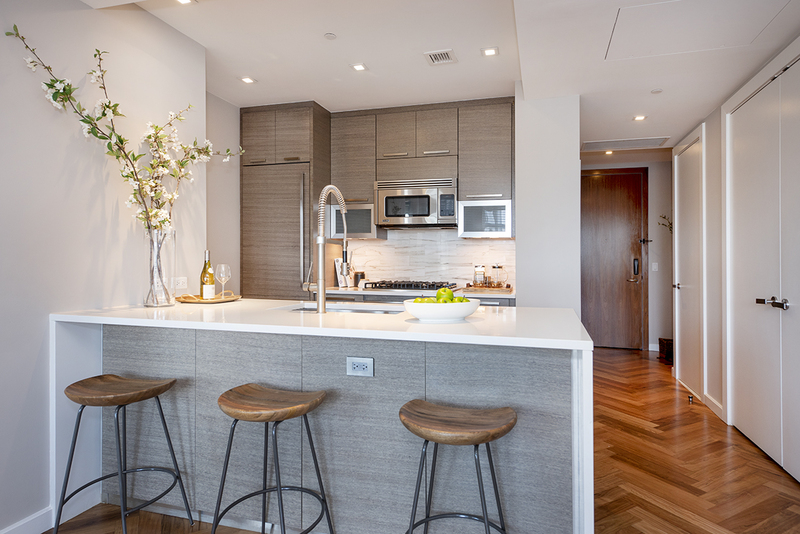 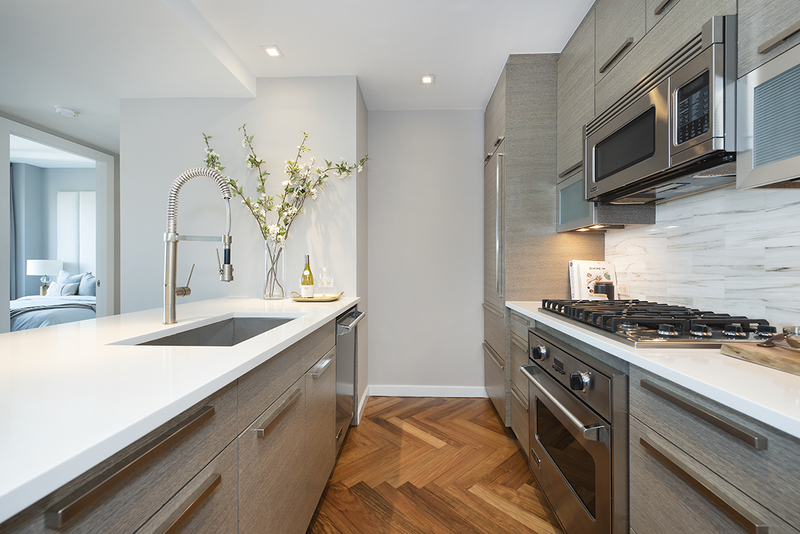 The richly appointed kitchen is outfitted with a fully integrated top of the line appliances, has an island and will please any cook. 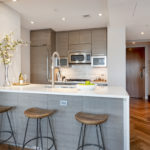 It includes white quartzite countertops, bleached wenge cabinetry, blue-vein cipollini marble backsplashes, Viking stove and dishwasher, and SubZero refrigerator. 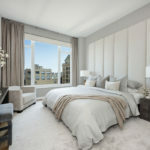 The Master King Suite includes a large walk-in closet and with an Eastern exposure features ample light and tranquility. 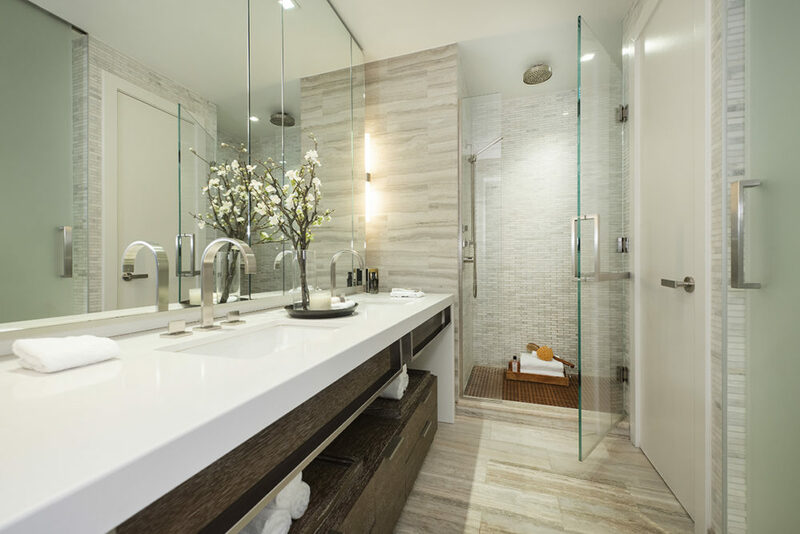 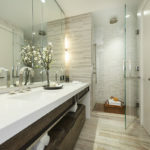 The Bathroom is elegantly enveloped in marble, and mosaic tiles, with custom-designed double-sink vanity, free-standing glass enclosed shower, and radiant heated floors make a tasteful statement. 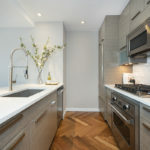 Additional features include a deep floor to ceiling double-doored coat closet in the foyer as well as Miele Washer and Dryer. 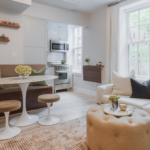 Superior Ink is regarded as New York’s premier white-glove Condominium, located on the tree-lined cobblestoned West 12th Street, between Washington and West Streets. 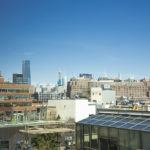 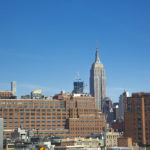 Manhattan best restaurants and boutiques, the High-Line, Meat Packing district, Chelsea Piers and Hudson River Park are steps away. 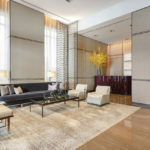 The building offers a full-time doorman, concierge, super, newly renovated state of the art gym with Pilates Reformer and ballet rooms, large lounge with catering kitchen and screening rooms, bicycle storage, children’s playroom and garage with direct elevator access. 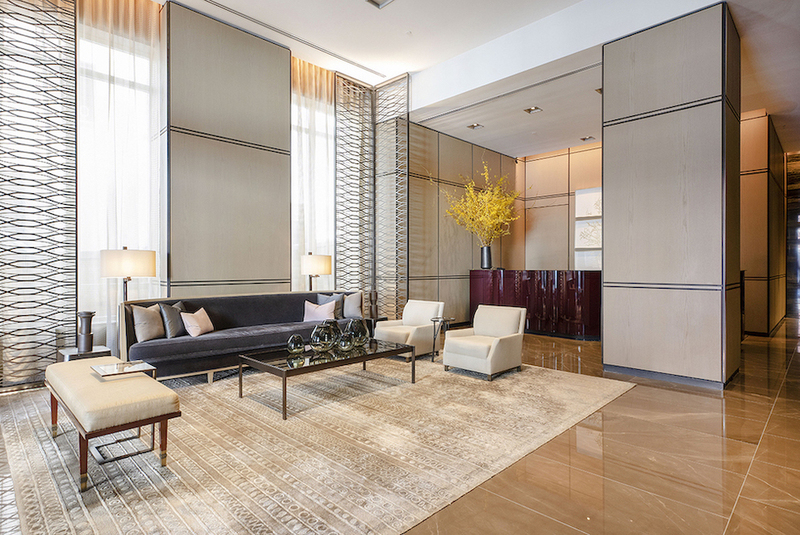 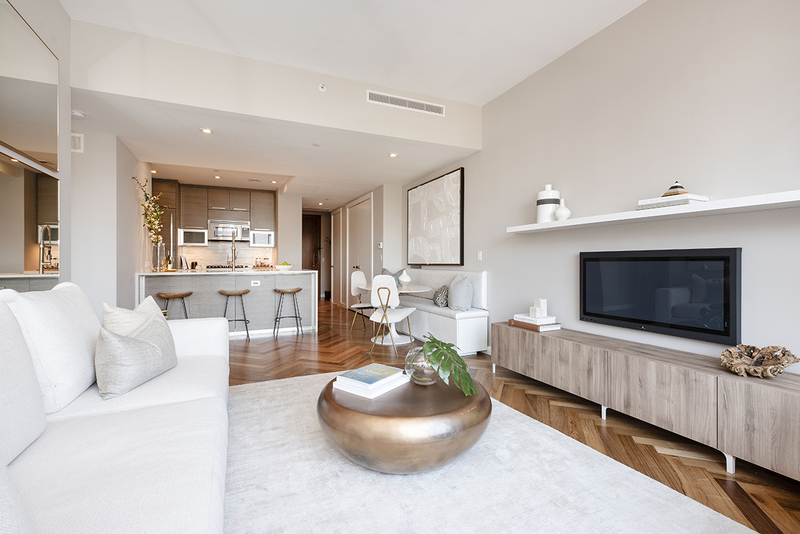 The Condominium is registered with the U.S. Green Building Council with anticipated LEED Silver Certification, the benchmark for high-performance green building.